Our annual "John Cage Evening" this year took place on Saturday, May 28, 6:30 p.m., at the home of hostess extraordinaire, Susan Hendrickson. I read a bit from the collection, and the discussion that followed with the invited guests was lively and informed. Click here for the archived broadcast by our local WGXC 90.7-FM. John Cage is best known as a composer, but he was also a philosopher, a poet, a chess master, a visual artist, a diarist, a mycologist, and an enthusiastic macrobiotic cook. 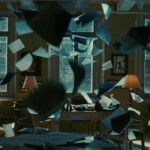 As his biographer Ken Silverman once put it, turn over any rock and there's John Cage. 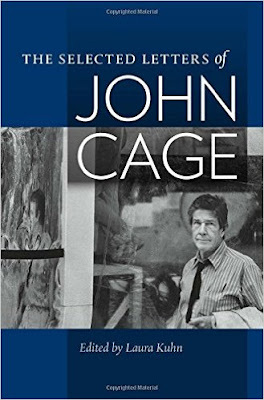 Cage was influential from the start, his radical new ideas reaching creative individuals across generations and disciplines. His prepared piano of the 1940s gave rise to beautiful and enduring compositions, and his notoriously tacit 4'33" of 1952 -- a composition in which no sounds are intentionally made by the performer -- continues to spark imaginations around the world. His Black Mountain mixed media "event" of the same year was the progenitor of the popular theatrical form later known as the "happening." And the implications to the whole of Western music history of Cage's late-life time-bracket notation -- resulting in works that can never be played the same way twice -- have yet to be fully felt. 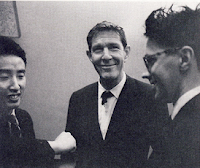 From 1950 John Cage adapted Buddhist practices to composition and performance, allowing complex chance operations to guide all of his work. In this way, he succeeded in bringing both authentic spiritual ideas and a liberating attitude of play to the enterprise of Western art. 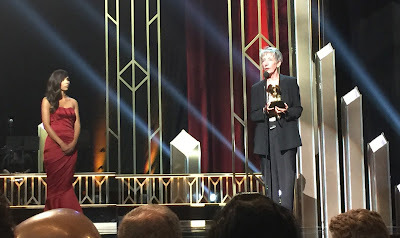 I am honored to accept this Special Merit Award from The Recording Academy on his behalf. Acceptance Remarks by Laura Kuhn, "Grammy Salute to Music Legends,"
The "Grammy Salute to Music Legends" ceremony in Los Angeles, which ran for nearly four hours, was spirited and lavish. There were 13 recipients, across four categories -- Lifetime Achievement Awards, Trustees Awards (Cage, Fred Foster, Chris Strachwitz), Technical Grammy Awards (both individuals and companies), and Music Educator Awards. In addition to John Cage, awards were given to a diverse group of individuals and ensembles: Ruth Brown, Celia Cruz, Earth, Wind & Fire, Herbie Hancock, Jefferson Airplane, Linda Ronstadt, Run DMC, Fred Foster, Chris Strachwitz, EMT, Dr. Harvey Fletcher, and Phillip Riggs. Many of the recipients were further honored with a staged performance of one kind or another of their work -- for Cage, we were treated to excellent renditions of Water Walk (Anthony Parce) and The Wonderful Widow of Eighteen Springs (J'nai Bridges and Richard Valitutto). And the Cage portion of the program, including my acceptance remarks, was preceded by a beautiful videotaped introduction by our great friend, the extraordinary conductor and composer Michael Tilson Thomas. John Cage is once again in interesting company. Past individuals to receive the Trustees Award have included George Avakian (2009), The Beatles (1972), Hoagy Carmichael (2005), Alan Lomax (2003), George Martin (1996), Cole Porter (1989), Phil Spector (2000), and Leopold Stokowski (1977), among many others. The Grammy Award itself is very beautiful -- small and surprisingly heavy -- and now has a pride of place at the John Cage Trust. I'm not at all sure what Cage himself would have thought about all of this, but I like to think that acknowledgement of any kind is to be both appreciated and cherished. Thank you again to The Recording Academy, on his behalf.